LL Waterfall Design has extensive experience designing and fabricating commercial water features Explore our projects and get in touch with our team to discuss your own vision. A custom water wall designed and fabricated to accompany the unveiling of the 2017 Porsche Carrera in Atlanta, Georgia. This giant waterfall measures an impressive 65ft long x 8ft high, and is located on the second floor of one of San Diego's premier health clubs. Complex plumbing and innovative engineering make this a great example of LL Waterfall Design's Capabilities. 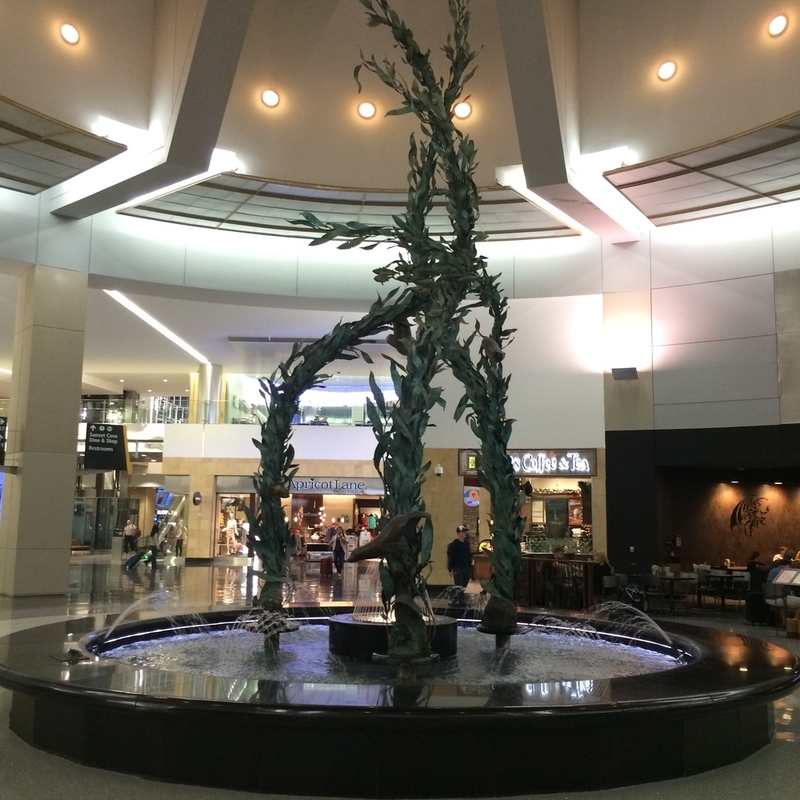 A custom water fountain designed and fabricated for the San Diego International Airport located in San Diego, California. This stunning waterfall features 12ft panels of our proprietary stainless steel mesh. Water cascades down each panel with a very slow “rivlet” effect that can be seen on both sides of the wall. As the water falls, it appears to defy gravity and creates one of our most spectacular water effects ever produced. With a name as big as "Navien" in the water industry, they needed the best to design their waterfall. Located in the entrance of their showroom, this waterfall is the first thing clients see as they enter. 3 panels perfectly cascading water sets the impression of this high-end company. A large oversized reflective pool adds to the beauty of this design as clients walk in.